I received this Simple EX Squonk Kit free of charge directly from Vandy Vape for the purpose of this review. Regardless of this, it will not color my opinion on this review in any way, shape or form. This came in a sample box that had a sticker on it that says it’s solely for trial-production and it does also say sample several places on it. So the retail package is going to be something we have seen from Vandy Vape before. I will despite that show the box it came in. 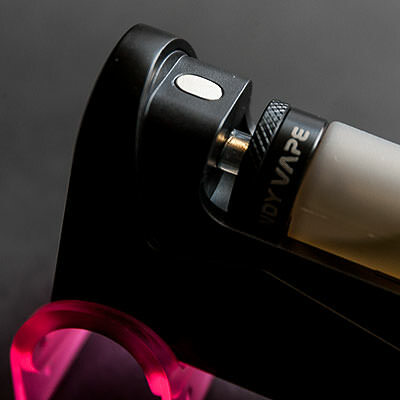 This is Vandy Vapes’ first dedicated Nic Salt device with an 850mAh internal battery and a rebuildable EX Squonk RDA. It is sized as a POD device almost and it is really tiny to be a squonk mod. The first impression on this kit is that it looks well made and the machining is, as always with stuff from Vandy Vape, really good. This mod is made out of Nylon or similar plastic and the bottle panel is most likely PC as the top cap. The panel covering the bottle sits real snug in place and there is no rattle from that or the buttons. 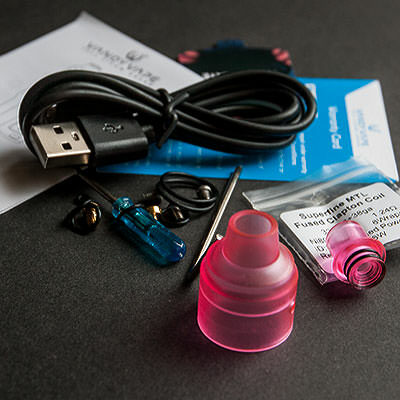 The buttons feel responsive and clicky for a starter kit. It does work in voltage mode, which you can alter from 3.3 up to 4.5 volts, and it got a number of safety features to protect the user from having mishaps while using it. 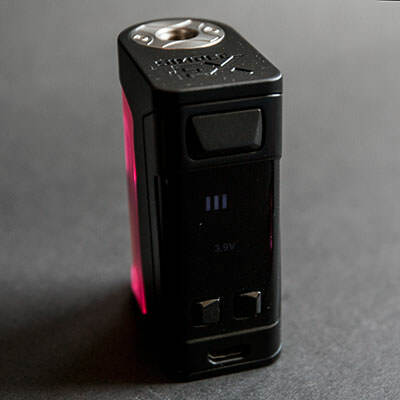 The safety features it has are Overtime protection, No atomizer alert, Low power protection, Atomizer short circuit, and Over temperature protection, and the battery indicator LED and current voltage indicator will flash for a certain number of times for each one of these. How many times depend on what protection that kicks in. To turn it on/off you simply click the fire button five times and it does turn on or off, and to alter the voltage output you click the up or down button at the bottom to choose the desired voltage. 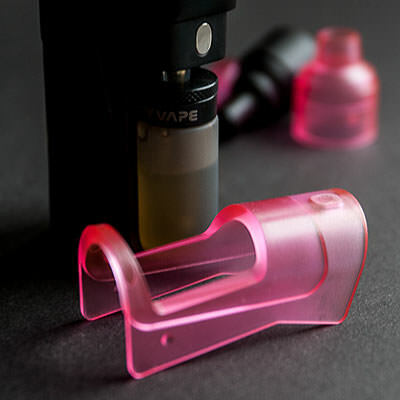 You charge it with the USB cable that’s included in the package and you can vape with it while it charges without any issues. 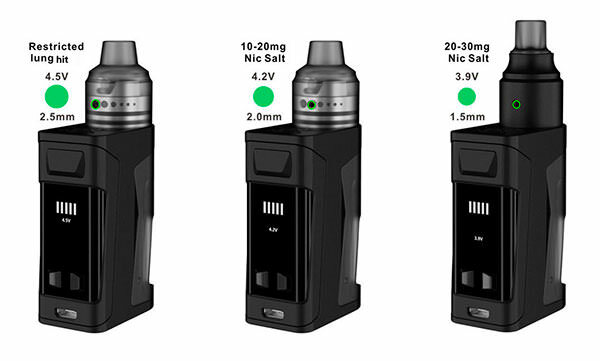 Since Vandy Vape is marketing this as the first dedicated Nic Salt device, this is how it does work with different Nic Salt levels, according to Vandy Vape themselves. The above pics will show what I mean by this. I haven’t used it with any Nic Salt liquids, since I only use stuff I have mixed myself, and can’t tell you anything about how it works with those liquids. With my own liquid however, it does work as intended. The EX RDA is a small 21 mm single coil bottom feeder atty and it got two posts on the deck. 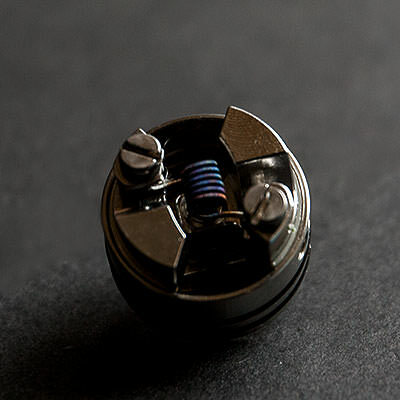 It is actually real easy to both build and wick, and for such a small RDA it got a fair amount of space for liquid. It got a bottom airflow that comes in through the deck and comes out from underneath the coil, where it does help out making it more flavorful. 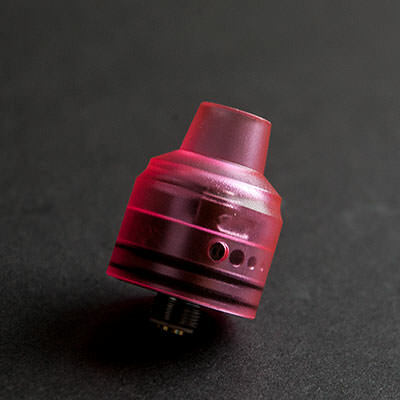 The airflow is smooth and silent and it got 6 different sized airflow holes with the biggest being a restricted DTL draw and the others more of a MTL draw than anything else. 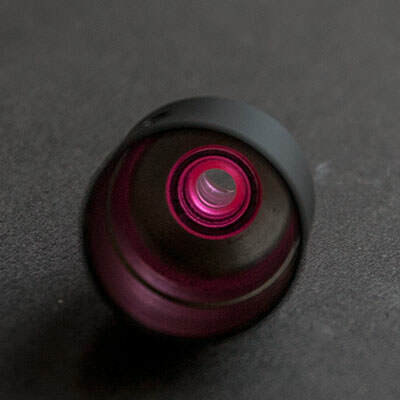 The sizes of the holes are 2.5 mm, 2 mm , 1.5 mm, 1.0 mm, 0.8 mm and 0.6 mm. On both the top caps there is only one big hole on one side of the barrel and It does come with two different top caps, one out of SS and the other made out of PC. The restricted DTL draw on the biggest hole is truly restricted and the others are a blend of more or even more restricted MTL draws. As a DTL device it might not work so good but as a MTL device it does really work as intended. The overall experience with this one has been nice to be honest, and as a beginners squonk device it is just great. It is real easy to use and build and wick, and the size of it makes it even easier to bring along when out and about. 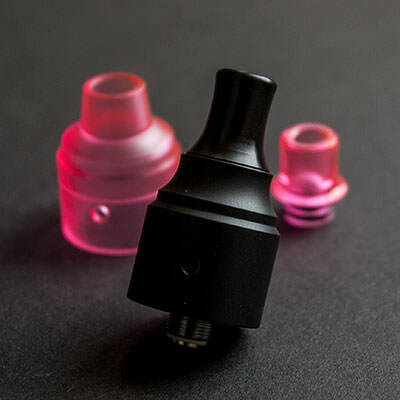 To top it off it does also give you good flavor and if the RDA that it comes with isn’t enough, you can always put another squonk atty on top of it. 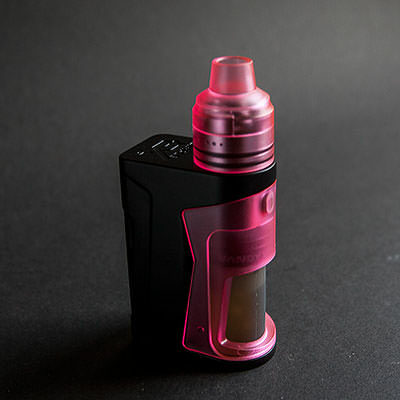 As a starter MTL squonk kit it is an easy enough kit that would be good for a lot of people and since Vandy Vape does market it as a Nic Salt device it might get even more popular among people buying store liquid. 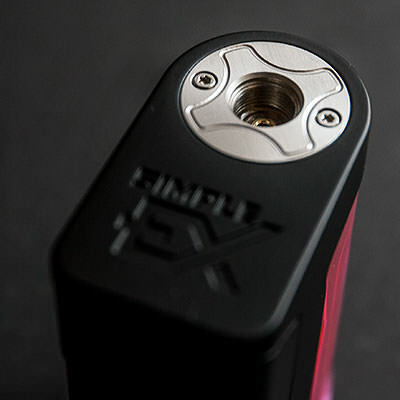 If you are interested in starting to squonk or finding out what the deal is with squonking, this might be the kit for you. It is small, easy to use and priced fair to make it even more attractive for a bigger crowd. 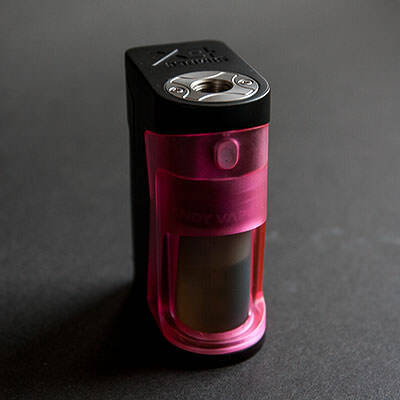 Great review @Norseman I was literally just looking at a VaporDNA advert for this one. Thanks for another great review man! Thanks for a nice review man. This baby looks perfect for my 50/50 tobacco mixes. Thanks man. I am sure it will work good with such a mix. Thanks for the great review! I’ve been interested in this kit since it was announced a couple of months ago due to its small design. 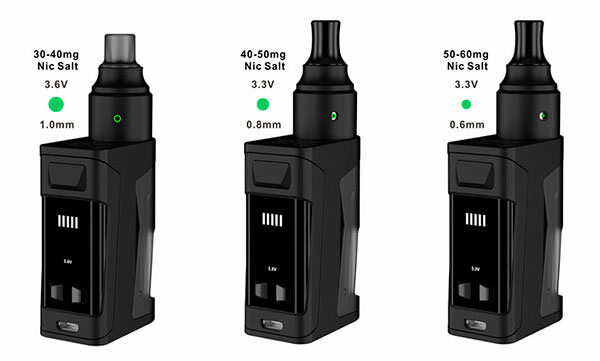 It seems like a real nice kit, but I think that it is grossly overpriced ($50) for what it is which is a device that is meant to compete with pod systems. When the price drops down to something more reasonable I’ll definitely be picking one of these up. Thanks man. It is a bit pricey i agree but i am sure it will drop and get more affordable. Yeah that’s what I was thinking too. It will be on my list for a Black Friday purchase for sure!